Let me be honest for a moment. When I was growing up we drove through Helen all the time on the way over the mountain to my grandparents’ campsite in Hiawassee. But now that I live many fewer miles down the road, I know the truth. Whether you’re here for a visit or calling these mountains home, they are a few places in the legendary Alpine Village you won’t want to miss. I’m partial to Cool River Tubing Company myself because they always gave free passes to my staff when I worked for Georgia Mountain Resort Ministries, but there are lots of folks who love the hot pink tubes from the flea market. Either way, on a sparkly summer day (and just after a good rain), it’s a fun way to spend an afternoon. The only grocery store in the town also boasts the best steaks. You’ll just have to fire up your grill yourself. Located next door to one another, these shops are a breath of fresh air from the tshirt-selling cubbyholes that dominate the downtown. Here you’ll find great home decor, college football gifts, and friendly proprietors. For other great shops like Mark of the Potter or the Old Sautee Store, check out the visitor’s guide here. When you’re finished shopping, head over to The Meeting Place restaurant. They’ll serve you a hot breakfast or a country style lunch that might save you enough money for another fun activity. 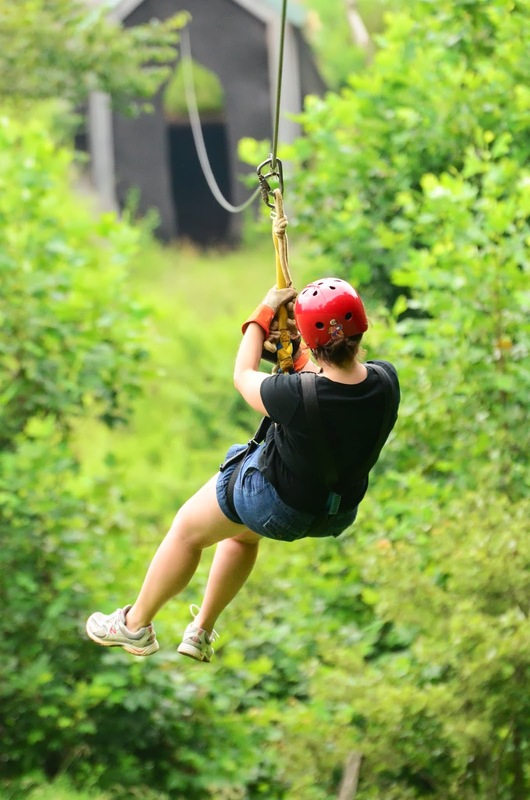 Here you’ll find horseback riding and the best ziplining in Georgia. Just watch out for the copper-rattle-moccasins the guides tease the tourists with! If you’re local, ask for the discount and enjoy supporting small businesses! In the summer, there’s a great beach area for the kids, but in the fall, the leaves over the lake are beautiful to behold. 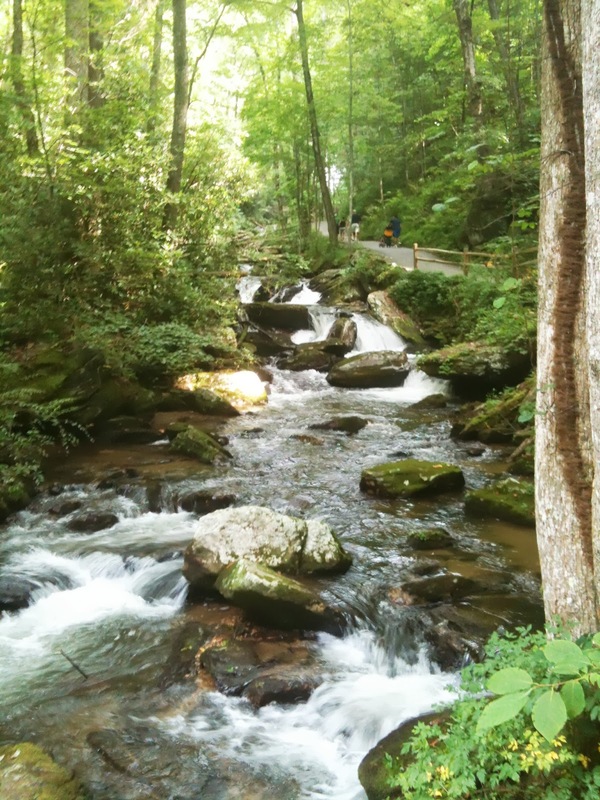 Journey a few miles up through Unicoi and you’ll enter the U.S. Forest Service site, Anna Ruby Falls. The 1/4 mile paved trail is a breathtaking hike and the waterfalls are my favorite in the state. Kids love putt-putt and pirates. It’s a win-win combination. Book through VRBO for the best deal on a local cabin that’s moments from activity, but nestled in the woods. Most have hot tubs, decks, and seclusion. We booked this one-bedroom for only $95 a night when we got away for our anniversary back in July. For the best view on the river and a good burger, too, don’t miss the Troll Tavern downtown. Sit outside so that in summer you can watch tubers navigate the rapids and in fall and winter you can enjoy the view. Keep in mind, I travel with four children almost always. These are all recommendations based on family-friendliness and are places I have actually frequented with my children. 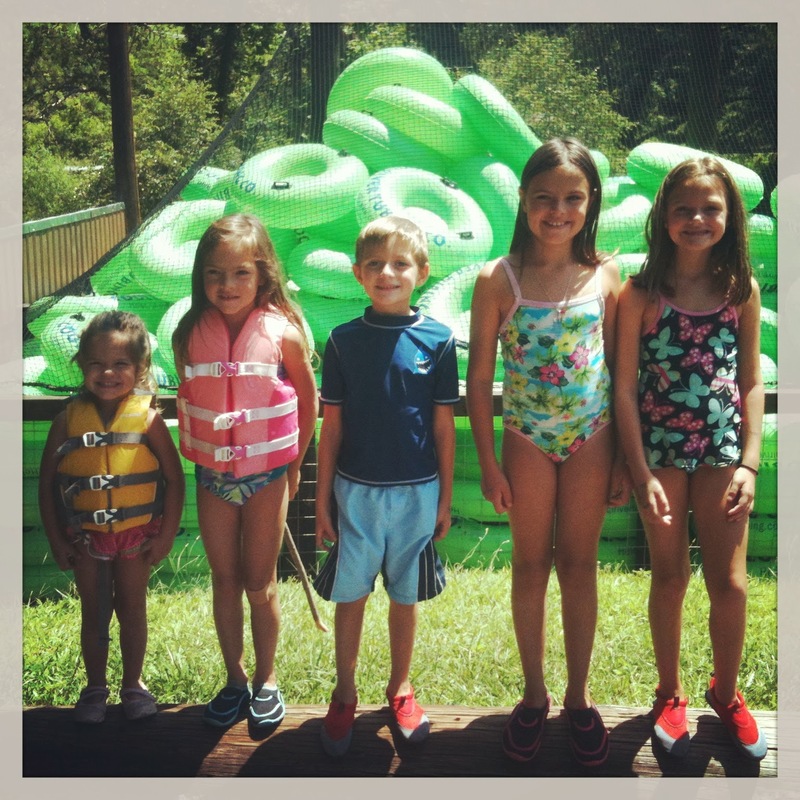 Linking up with List it Tuesday over at Many Little Blessings.